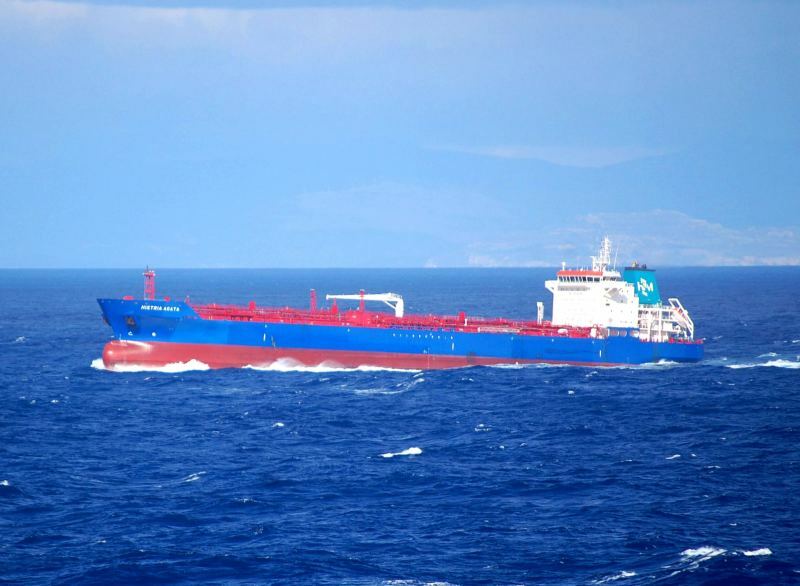 Aster Shipping's 2007 built,25814gt tanker HISTRIA AGATA reg.Valletta ploughing through a heavy swell in the Aegean on Feb 19th,2011. She was built by Santierul Naval Constanta. This photo has been shown 1,272 times since it was added to the site.